Out of Fire - Life! Choose a chain for your pendant. 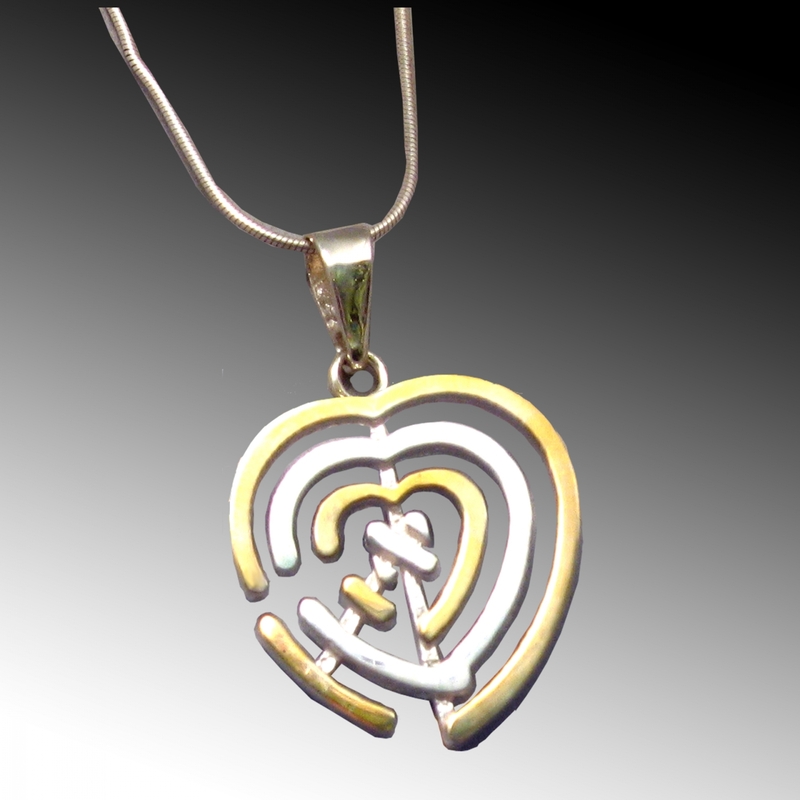 Love is in the Heart: This design takes that literally. 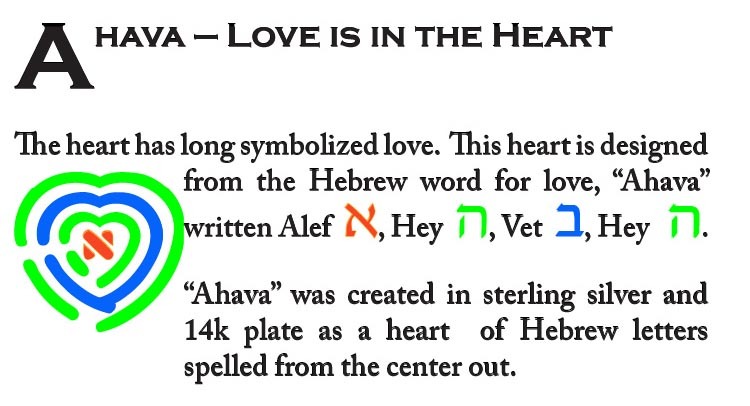 Each design element is a Hebrew letter, spelling the word "Ahava" which means Love.